Singer Johnny Gioeli certainly keeps himself busy. On 7th December he released his first solo album, “One Voice”, through Frontiers Music. This is his third album release of 2018, following on from Axel Rudi Pell’s “Knights Call” in March and his collaboration with Deen Castronovo, “Set the World on Fire”, in July. The single “Drive” from the album “One Voice” was included on the Friday NI Rocks Show on 12th October. Gioeli started performing in the 80’s, initially as a drummer before fronting the band Brunette. His break came with Hardline who released their debut album “Double Eclipse” in 1992; although it was another ten years before they released the follow-up “II”. Hardline released another three studio albums between 2009 and 2016. Since 1998, Gioeli has also fronted Axel Rudi Pell’s band, releasing numerous studio, live and compilation albums. Performing as Crush 40, Gioeli has also provided songs for numerous video games since 1998. 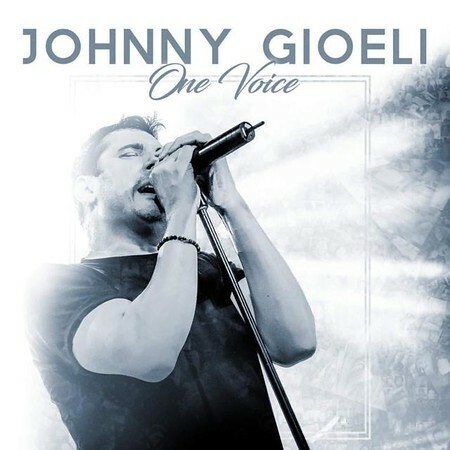 Performing with Gioeli on “One Voice” are guitarist Eric Gadrix, drummer Marco Di Salvia, bass player Nik Mazzucconi and keyboard player Alessandro Del Vecchio. The latter also produced, mastered and mixed the album.